Watch 20 years of family struggles and laughter play out in front of you when you attend all three parts of the current productions at Metropolitan Ensemble Theatre in Horton Foote’s nine one-act plays combine into “The Orphans’ Home Cycle that continues through Nov. 18 in The Warwick Theatre on Main St. in mid-town Kansas City, Missouri. Produced only once before in entirety, the MET decided to mount all three parts of the show, breaking the nine one-act plays into three separate parts. Each part consists of three hour long pieces (with 2 intermissions). The marathon mounting consists of nine hours of theatre to see all three installments. 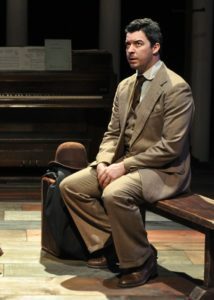 Upon exit from the third segment, proprietor Bob Paisley said that one of the “Cycle” actors, Tim Ahlenius, found yet another play in the series, number 10, that can be produced separately as a two-hour stand alone piece. Thankfully, that was not discovered before production began on this production. So, Kansas City audiences can see a show that has only once been mounted and presented start to finish. And, the show features large casts for each segment, plenty of props, scene changes, and colorful characters. 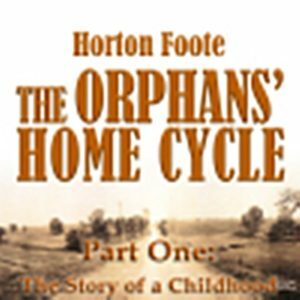 The start to finish “Orphans’ Home Cycle” take the audience on a long, long journey into the lives of the Robedaux family. The family goes through pain, struggle, heartbreak, and lots of laughter as the story unfolds. The rich characters allow the actors to grow and develop as each piece brings new situations. The plot of the story then follows Horace Robedaux through his early years, through courtship, marriage, fatherhood and his life journey as a man who overcomes daily adversity to grind out his survival. Some of the characters appear in only one of the three parts and provide enough colorful story to merit more development. Some characters do not merit the time spent to them. For such a big production to work, some really talented actors delivered striking characters. 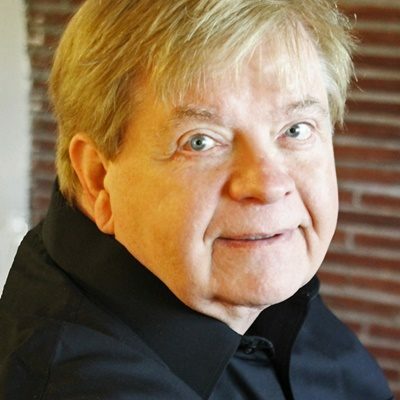 The lead character of Horace Robedaux meant that Todd Lanker appeared in almost every piece of the nine-part saga. Possibly he did not appear in the second act of Part 1. Other than that, he was onstage most of the time. 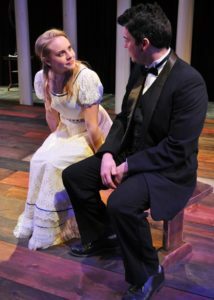 Lanker and Elaine Christensen would be considered the male and female leads of the piece as the young lovers and married couple. They definitely held the stage and provided a solid frame for the balance of the story and actors to fill. Both possess a strong stage presence without having emotionally draining or yelling parts. They both gave a subtle performance that provides the balance for the other characters. Robert Gibby Brand, Shelley Wyche, Andy Penn as always delivered strong characters. Penn especially delivers one of the most notorious characters of his resume in the second act of part one as an old man dealing with mental illness and advanced age. His character is jaw-dropping sad, scary, and occasionally funny. As the show continues, Brand and Wyche enter the picture as Horace’s in-laws that disapprove of him at first but slowly evolve their characters to show the slow warming and acceptance. Their characters show a very quiet balance and change as they confront changing times. One notable character, young Horace brings Creighton Smith-Allairs front and center. As the young character in the first two acts, he holds his own among the adults and never over-does his character. He’s a talent to watch as he grows. Another actor to watch, Cody Proctor as Elizabeth’s wayward brother allows his character to simmer and grow with each segment. The character, a loser, continues to show more character and depth as the show continues. Proctor’s resistence in giving too much of the character away too quickly makes the finished character both a villain and object of pity. 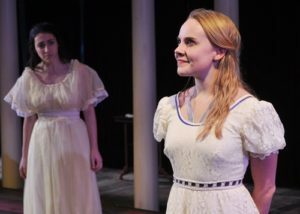 With such a large cast, nine hours of theater, and changing characters, pinpointing specific actors, recognizing their work as they shift makes reviewing the plays difficult to say the least. Other outstanding pieces of this saga come from Marilyn Lynch, Coleman Crenshaw, Tim Ahlenius. Give lots of credit to Metropolitan Ensemble Theatre and Karen Paisley for making this selection and creating what only one other theatre in America has done–present the entire nine-play saga. The story shows the devotion of family as well as the strength and wakeless to maintain and continue to move forward. “The Orphans’ Home Cycle” delivers the American Dream that there is comfort in living a good life, moving forward in spite of setbacks, and that happiness comes from within. The play also shows that determination generally wins. Overall, the stories do not always align, some characters just disappear with no conclusion, and at times the flow just does not quite follow. But, after seeing all nine installments, the pieces do fall into place nicely, but reminded this reviewer of finishing a jigsaw puzzle to find several pieces missing to complete the picture. 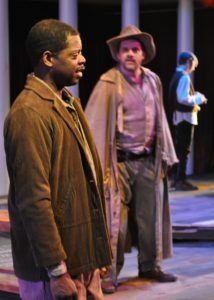 Convicts: Creighton Smith-Allaire as Horace Robedaux, Sherri Roulette-Mosley as Martha Johnson, George Forbes as Ben Johnson, Andy Penn as Soll Gautier, Jerron O’neal as Jackson Hall, Cody Proctor as Billy Vaughn, Annie Schwaner as Asa Vaughn, Robert E. Coppage III as Leroy Kendricks, Tim Ahlenius as Sheriff. 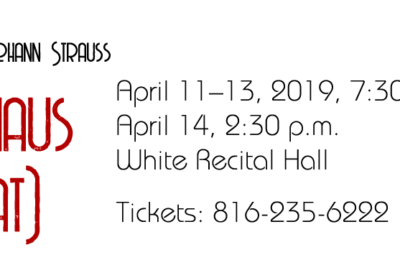 Annie Schwaner as Lily Dale Robedaux, Emmy Panzica as Corella Davenport, Tim Ahlenius as Pete Davenport, Todd Lanker as Horace Robedaux, Matthew Emerick as Will Kidder, Larry Goodman as Albert Thornton, Marilyn Lynch as Mrs. Kuntz. The Widow Claire: Lauren Hambleton as Claire Ratliff, Jonah Cartwright as Buddy Ratliff, Holly E. Lichtenauer/Kendall Fricken as Molly Ratliff, Todd Lanker as Horace Robedaux, Coleman Crenshaw as Felix Barclay, Matthew Emerick as Archie Gordon, Cody Proctor as Ed Corday, Christopher Preyer as Val Stanton, John Van Winkle as Roger Culpepper. Courtship: Elaine Christensen as Elizabeth Vaughn, Annie Schwaner as Laura Vaughn, Robert Gibby Brand as Mr. Henry Vaughn, Shelley Wyche as Mrs. Mary Vaughn, Kathy Breeden as Lucy (Vaughn) Stewart, Wendy Thompson as Sarah Vaughn, Sherri Roulette-Mosley as Eliza, Todd Lanker as Horace Robedaux, Coleman Crenshaw as Steve Tyler. Valentine’s Day: Elaine Christensen as Elizabeth Robedaux, Todd Lanker as Horace Robedaux, Lauren Hambleton as Bessie Stillman, Kathy Breeden as Ruth Amos, John Van Winkle as Bobby Pate, Andy Penn as George Tyler, Coleman Crenshaw as Steve Tyler, Robert Gibby Brand as Mr. Henry Vaughn, Shelley Wyche as Mrs. Vary Vaughn, Cody Proctor as Brother Vaughn, Larry Goodman as Dr. Greene. 1918′: Robert E. Coppage III as Sam Goldman, Elaine Christensen as Elizabeth Robedaux, Todd Lanker as Horace Robedaux, Lauren hambleton as Bessie Stillman, Robert Gibby Brand as Mr. Henry Vaughn, Shelley Wyche as Mrs. Mary Vaughn, Cody Proctor as Brother Vaughn, Larry Goodman as Dr. Greene, Aurelie Rose Power as Irma Sue, Margo Roberts as Gladys Maude, Jessica Whitfield as Mrs. Boone, Jonah Whitfield as Boy, Kathy Breeden as Ruth Amos. Cousins: Ryan Fortney as Gordon Kirby, Elaine Christensen as Elizabeth Robedaux, Todd Lanker as Horace Robedaux, Coleman Crenshaw as Lewis Higgins, Wendy Thompson as Corella Robedaux, Tim Ahlenius as Pete Davenport, Annie Schwaner as Lilly Dale kidder, Matthew Emerick as Will Kidder, Christopher Preyer as Monty Reeves, Emmy Panzica as Lola Reeves, Robert Gibby Brand as Mr. Henry Vaughn, Kathy Breeden as Nurse, Jerron O’neal as Sylvester Malone, Jessica Whitfield as Minnie Curtis. The Death of Papa: Jonah Cartwright as Horace Robedaux Jr., Elaine Christensen as Elizabeth Robedaux, Todd Lanker as Horace Robedaux, Shelley Wyche as Mrs. Mary Vaughn, Cody Proctor as Brother Vaughn, Sherri Roulette-Mosley as Eliza, Mauriele Hailey Fields as Gertrude, George Forbes as Walter, Wendy Thompson as Cordella Davenport, Jessica Whitfield as Inez Kirby. Give credit to the production team that delivered this massive project to KC audiences. 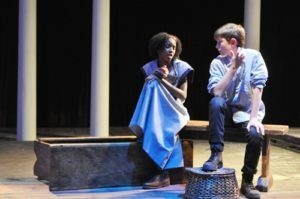 The team was lead by Karen Paisley, director; Ryan Fortney, assistant director; James Paisley, stage manager; Karen Paisley, production design; Maxwell Frederickson, sound design; John Hollan, wig design; Onetta Johnson, costume curation; Marc Manley, props master. The crew is: Ken Brustadt, Alex Paxton, Doug Connett, Karen Paisley, Marc Chertoff, Tim Ahlenius, Dirk Soulis, Bob Cheney, Barrie Smith, Cody Proctor, Larry Goodman, Wendy Thompson, Kathy Breeden, Shelley Wyche. 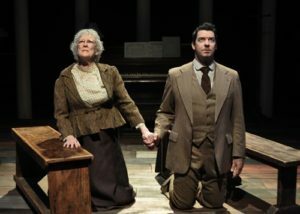 “The Orphans’ Home Cycle” continues through Nov. 18. 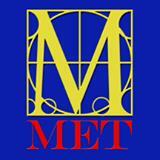 Check the MET website for times and dates.